Dr. Kenneth P. Stoller, MD was trained as a pediatrician at UCLA and was a fellow of the American Academy of Pediatrics (AAP) for two decades. In 2008 he resigned from the AAP after realizing that the AAP has known that mercury in vaccines can lead to neurological damage and bring on various levels of the autism spectrum, from ADD to full blown helplessness, inflammatory pain, convulsions, and destructive behavior. Of course,Dr. Stoller goes on to mention the other toxic heavy metals and ingredients that destroy immunity and health. But he knew they knew about mercury and lied about it. They may be ignorant of aluminum and other ingredients. Dr. Stoller reveals that the AAP has been aware of vaccine damages for decades. Even worse, the AAP, the CDC, and pharmaceutical companies, have gone through extreme measures of covering up the dangers, hiding evidence, and attacking those who come close to disclosing the real science behind vaccine dangers with very little efficacy, if any. California has set the precedence that’s spreading to other states: Religious, philosophical, and lifestyle exemptions have been removed to make it more difficult to opt out of vaccinations than ever. The one exemption that remains even within this tyranny is the medical exemption. And in the shadow of extreme willful ignorance among pediatricians and family physicians, that’s difficult to provide without sufficient proof. Dr. Stoller has created an online portal for concerned California parents who want to protect their children from vaccinations in states that have vaccination mandates enforced by denying school attendance. However, non-Californians whose states are trashing vaccination opt-out exemptions can gain some insights from his site listed after his forthright informative presentation in the video below. A major point that struck me is how autism is evaluated and diagnosed on a purely psychological level. Kids who are severely autistic from vaccine damages suffer from extreme gut inflammatory pain, joint pain, brain damage pain, and seizures. This makes it difficult to develop from applied behavior analysis (ABA) and address learning and social developmental issues. Resorting to inflicting pain on themselves or steady screaming fits because of inflammatory agony doesn’t make for much ABA success. Now there’s a new documentary available to rent or buy called “50 Cents a Dose”. “A father revisits the autism study in which his oldest daughter participated: the study on Thimerosal (a mercury based medical product). What begins as a lighthearted rumination on raising children – ends as a discovery of scandal, and perhaps, a nation in denial.” Here’s the link to the trailer. And here’s that link to Dr. Stoller’s site I had earlier mentioned. The heart is one of the most important organs in the human body, because it is one of the main mediums for connecting us to each other and the Universe. Conventional science has taught us that the main role of the heart is to pump blood to all the systems of the body. This definition of the heart is not very accurate. Besides pumping blood, the heart also has an intelligence of its own. According to neurocardiologists, 60 to 65 percent of heart cells are neuron cells, not muscle cells.1This discovery has helped them to develop experiments that have proved the heart works similar to the brain and in some ways is even superior to the brain. This may be the reason why the heart is the first organ to function after conception. Within about 20 days after conception the heart starts to function, but the brain does not function until after roughly 90 days. This information tells us that the brain is secondary to the heart. Some researchers and neurocardiologists are pushing the idea that the heart can actually act like another brain, helping to guide us with a different form of intelligence. Many physiological studies are currently being done regarding the interconnection of the heart and the brain, and why certain sensations and feelings are experienced at the level of the heart. Generally, love and certain emotional states are felt at the heart level, producing different physiological reactions of the heart. Heartbeats have been found to be affected by inner states and emotions, including disorder in heart rhythms when we are experiencing stress or negative emotion. 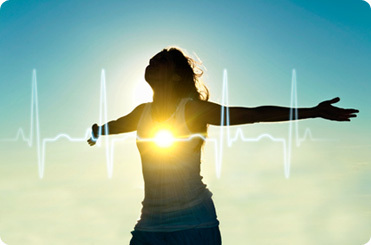 Conversely, when we are feeling positively, the heart rhythms are more cohesive and beat more regularly and steadily. The nervous system of the heart contains roughly 40,000 neurons or sensory neurites. One of its roles is to monitor the heart’s hormones, neurochemicals, heart rate, and pressure information. The information of how these chemicals behave is also sent to the brain. 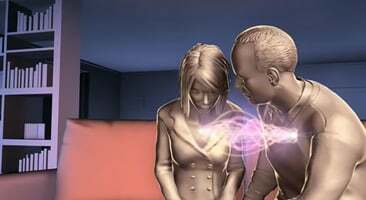 The heart and brain are always communicating through the vagus nerve system and the electromagnetic field of the body. It is through this dynamic communication process that the consciousness of the heart can change how the brain process information. This process can also affect how energy flows in the body. These findings indicate that the heart works with the brain and body, including the amygdala, to process emotions and incorporate emotional memories. The amygdala is the part of the brain that assists us in making decisions about incoming information and processing them based on our past experiences. This shows a link between the emotions and feelings and the actual brain and body physiology. Other mental attitudes and stress also affect the body and our overall health, and these issues can be linked to the heart as well. Recent scientific research has determined that the emotions of anger, anxiety, and other negative feelings can significantly increase the risk of heart disease. Therefore, stressful situations and high anxiety levels negatively affect the heart as an organ. Connecting the brain and the heart as its own emotional processing center is a topic that many researchers are focusing on. It has been shown that emotions experienced mentally will also manifest physically in the body, and feelings can affect the rhythms and beating of the heart. The best way to maintain a healthy heart is to not only eat a healthy diet, but also incorporate meditation techniques to balance the energy of the heart and brain. The heart helps us to understand the world through feelings. It allows us to understand our reality in a universal kind of way, giving us universal characteristics. 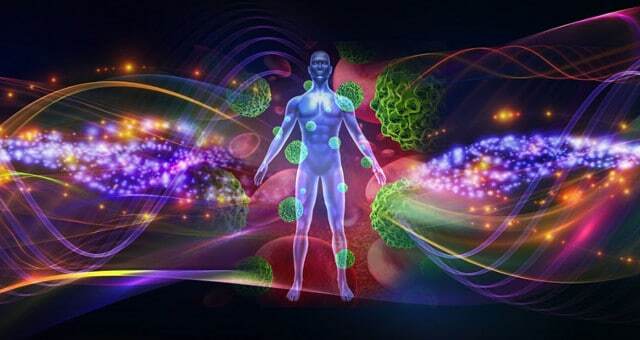 This biological electromagnetic field generator allows us to understand each other at the emotional level and beyond, giving us a sense of connection to all things. This emotional connection is what creates bonding between individuals. When we learn how to think with our hearts, it becomes easier for us to understand others and live in harmony with them. For these reasons, the heart holds the key to uniting humanity and achieving world peace. **Also featured at Waking Times. So You’ve Woken Up…Now What? Many people ask about this or something similar so here’s some thoughts on the subject. I don’t mean to tell anyone what to do, as that’s completely contrary to consciousness and conscious development, but I will share my understandings at this point and my passion for Truth and you can do what you like with it. This and those like it pose a very broad question since we’re all different and need to be led of our own convictions. However, the answer is fundamentally similar in every case. There’s really no time for fiddling around once you’ve found what you know to be the Truth, which is always something clearly outside the realm of what you’ve been indoctrinated with. It’s always life altering. And if it isn’t, you didn’t hear correctly or it fell on deaf ears. I don’t want to be counted amongst the deaf or unresponsive. Do you? Especially when you found out that that’s exactly what perpetrates the big lie you found out about–a compliant, non-awake populace. That’s the trouble with the “system”, it teaches dependency, hierarchy, and rote knowledge, where your choices are carefully narrowed down to “acceptable” alternatives within carefully confined parameters. That’s why people feel like fish out of water when they wake up. They never learned how to truly think freely, nor did they have the knowledge tools. Instead, most everything was reversed, scrambled, confused and filed away in seeming useless obscurity. The result is not just a marginalization of empowering Truths into the catch-all dustbins of “conspiracy theory” or wing nut stuff, but worse yet, the system does not cultivate original thought or true personal freedom or responsibility. The real Truth is not an option in such a controlled environment. Oh, you get smatterings of truths, but drawing awake and aware conclusions is not an option to humanity’s would be Controllers. How it affects each of us individually is really a question of simply putting what we’ve learned into action and trusting the Universe for the consequences. I don’t think there’s time for much else. In fact, there never has been. While many are hoping for some kind of soft-pedaling of any kind of action call, it’s not a set formula. You just find out, and you react. And just that takes some doing, breaking off the rust of your True Self to animate and start to call the shots that were previously hindered by life long programming. For me the full wake up took on many stages of development, but the full blown realization of the vast extent of the manipulated lie and its fleshed out intricacies was a head splitting explosion that blew me past the pull of convention’s gravity so fast I’m still grinning from ear to ear as I zip through the universe..ha! You think TV’s bad? Turn it off. Banks are a rip off? Get out except for perhaps necessary operating funds if need be. Trapped by the ownership of housing, “might needs”, and all kinds of dumb stuff? Dump everything you can, if that’s your understanding. Knowing “stuff owns you” is fundamental to consciousness. We all get there, but it depends on our enthusiasm…or “spirit in us”. Until people put into action what they already know, there isn’t gonna be much more to follow for them. Just a lot of flailing about in frustration because we don’t do what we already know we should do and are looking for excuses or compromised solutions to assuage our guilty conscience and hopefully preserve our personal status quo. That also includes getting right with people, making relationships honest, and disengaging from situations of compromise. It takes courage. All this is a whole lot easier when you realize you are nobody. There’s nothing to defend. Your old senses of self were the very strings the lying matrix played upon. Get conscious and the sirens of the system don’t affect you except peripherally. Conscious awareness is number one realizing and seeing through the higher level of awareness that is detached from this life’s experiences, and thus free to discern and identify without attachment what your life experience is. Don’t fret the next steps. The universe is so vast and full of infinite possibilities there’s something for everybody. Our job is to find it for ourselves and when we find it, act on it. No, it’s not the “safe” way, or the “accepted” way. At all. We do have to break free. In reality the parasitic system has been sucking you dry and lying to you and everyone you love. You now no longer owe it any allegiance and can and should disengage any and every way you can. No guilt trip necessary. You are doing what is right. So get any and all attachments possible out of play. Happily. You are freeing yourself from the spider’s tentacles. When you’ve resolved to go ahead and “make the break” with convention and stand up for what you know is right, it leads to a new lifestyle. How do you think these wonderful websites were formed of like-minded people who found each other and decided to make an impact with videos, interviews, articles, participation in events, etc? Something gelled, made total sense, resonated, and they just committed. These truth enthusiasts on the internet also somehow found each other and it clicked. It’s all about responding to the need and call and openly networking…true response-ability. I read this fantastic analogy and it’s never escaped me. Finding out the whole truth is like putting on these amazing truth glasses, much like the movie “They Live”. #1. You gotta want to put them on. #2. You can’t force someone else to put them on. #3. Once they’re on, you can’t take them off. If you’ve found and put on the glasses, that will make total sense. If you haven’t, keep searching. Government Officials on the Move? (NaturalNews) Former newspaper journalist and bestselling conspiracy author Jim Marrs told radio talk show host Dave Hodges in December that some 400-500 top bank executives had left their positions and had gone into seclusion. Marrs said at the time that the elite had fallback positions from a chaotic society: seed vaults to which only they had access. “Marrs was clearly alluding to the fact that some very bad events are coming and the global elite are aware of it and are moving to meet the threat,” Hodges wrote on his radio show website. Hodges went on to say his sources tell him that the same thing is occurring with people who have recently retired from a number of federal agencies including the CIA, DHS, NSA and FEMA. When government officials, from the various alphabet soup agencies, retire en masse, it is not necessarily a noteworthy event. However, when the same officials retire en masse and then relocate to form their own survivalist enclaves, then this is something that we should all sit up and take notice of, especially when we are seeing the same behavior on the part of Wall Street executives. Only, it is a newsworthy event; no less than The Washington Post reported recently that several top positions at the Department of Homeland Security (DHS) are currently vacant, and morale is extremely poor. “The Department’s Web site shows 40 percent of positions on the DHS’s leadership list are filled by ‘acting’ officials or are vacant — including the top four slots,” the Post reported. In a separate story, the Post also reported in August 2013 that a wave of retirements from the federal workforce were taking place — a phenomenon that the paper blamed largely on age (many of those retiring were 60 or older). But the report also said that a number of very skilled workers were leaving federal service — and the more skilled tend to be better paid (and, hence, better able to feather a distant nest). He also wrote that it is “a matter of official agency policy” that some of the current DHS and CIA officials and their families will be given safe haven in various locations in Colorado, in turbulent times (Colorado is home to several vital military bases — one Army and five Air Force bases, all near the vicinity of Colorado Springs; the area is also home to Cheyenne Mountain, home of the North American Aerospace Command, or NORAD, the nation’s early-warning center, and NORTHCOM, or Northern Command, the Army command in charge of homeland security and response). Read Hodges’ entire report here. Once upon a time, the goal of higher education was to prepare kids for life, but in past decades they’ve gotten further and further from that path. Now, in an era of crybabies and safe spaces, one university teaches survival skills and is completely bucking the status quo. In Kauffman’s class, he uses clips from “Castaway” and “Blast From the Past” among others to augment his examples of the psychological and physical effects of disaster preparedness. As January’s snowstorm demonstrated, these skills come in handy whether stranded on a highway or isolated in your neighborhood. Among the assignments in IDIS 150, students have to plan for short-term disasters and one-year disasters, take inventory of their food at home, design a shelter, determine how much in supplies and food they need, organize communication tools and, yes, learn how to prep for life in an underground bunker. But it’s the more likely scenarios that Kauffman really hopes the students will be prepared for. Ebersole, of New Enterprise, Pa., found the course helpful for when he goes hunting in the winter. He now makes sure he has an extra coat and supplies in his car for unexpected situations. It was a simple exercise in class that showed him why it’s important to have extra supplies. “We pulled out everything from our pockets, and whatever you had with you at the time is what you’ll have during an emergency,” he said. He also was well-prepared for the January snowstorm in part thanks to the class, having stocked up on enough food and supplies to make it until his neighborhood’s streets were cleared. These kids are being prepared for actual life, toughening up by considering the possibilities, and gaining the confidence that comes from being ready to meet challenges. This is in sharp contrast to what many colleges are teaching these days. Instead of nurturing competent kids into adults that can go out and conquer the world, they’re wrapping them in cotton and turning them into wusses who require shelter from mean words. Just last week, Rutgers University was the scene of a dramatic protest with an aftermath that required trauma counseling. If you’re wondering what awful thing happened, there was a guest lecturer who hurt some of the students feelings. In protest, they smeared blood on their faces, because words. Words had wounded them. Afterward, they had to seek help in a group therapy session to deal with the trauma of listening to another opinion. Many students said in the aftermath that they were fearful as they slunk around the campus for days after the event. Protesters at the University of Missouri required a “safe space” to recuperate from the rigors of protesting, in which no one could say mean things to them and the media couldn’t report on them. What do you think kids should be learning to prepare them for adult life? If we really wanted kids to be prepared for an adult life full of accomplishments and freedom, we’d teach them that overcoming obstacles is the route to success, not hiding under your blankie. Never have I seen it so well said than in this essay by a combat veteran Marine. If you were designing a course for life for kids stepping into adulthood, what would that course teach? Disaster preparedness? How to handle your finances? How to budget? Home economics? Shop? It seems that none of these things is included in education anymore, and we’re sending kids out into the world completely unprepared, deeply in debt, and unable to find employment. No longer do youngsters seek adventure and live to tell the tale (at least not without someone getting arrested or taken away by CPS). Helicopter parenting and “higher education” are lowering the thresholds of common sense and, well, cajones. These coddled, wimpy kids could be the sensitive future leaders of our country, an alarming thought at best. Here’s hoping that other schools follow their leads. (NaturalNews) They say a glass of red wine a day helps keep the doctor away. But what about several bottles per day? That’s what Antonio Docampo Garcia, the recently deceased curator of the Bodegas Docampo vineyard and winery in Spain, drank every single day up until his passing at the ripe old age of 107. The key to Docampo’s long, healthy and jovial life appears to have been freshly fermented wine, which he drank in lieu of water at nearly every meal. His familiar successors lovingly recall how the pudgy-cheeked caretaker of the Ribadavia-based estate was almost never without his favorite glass of vino at every occasion. The Spanish Civil War veteran wasn’t a drunkard, though. He drank his wine not only for health reasons but also because he just loved wine. His family says he typically drank the equivalent of about two bottles of wine with lunch, and another two bottles with dinner – and he did this practically every day! The Docampo Garcia vineyard, which Docampo himself founded, produces wines for sale to the general public. But with each batch produced, Docampo would hold back a portion for himself, which he seemed to use as a type of longevity elixir. “If he produced 60,000 litres a year he would keep 3,000 litres for himself,” Docampo’s nephew Jeronimo added to La Voz de Galicia. Docampo also prided himself on taking a shot of brandy with breakfast, another part of his unconventional health regimen that allowed him to avoid having to take pharmaceutical medications. Up until the age of 103, Docampo maintained excellent health with minimal or no illness, a quality of life that he and his family attribute to his beverage choices. 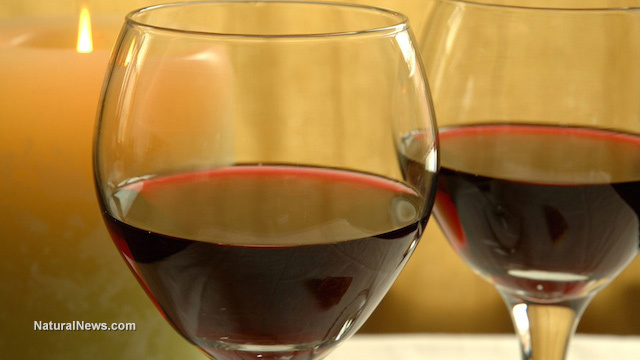 The key to red wine’s health benefits: no chemicals, pesticides, preservatives or toxins! The type of wine Docampo consumed wasn’t your standard bottle of processed, sulfite-laden plonk. It was lovingly fermented wine of the highest quality, without added pesticides, preservatives or other chemicals. It was a better than organic type of traditional wine that kept Docampo alive and kicking well beyond the average number of years, presumably due to its high antioxidants levels and minimal oxidative potential. One of the healing components most talked about in red wine is resveratrol, an anti-aging compound found primarily in grape skins. It is safe to say that Docampo’s wine was rich in this powerful nutrient, which likely helped extend his lifespan. Either that or he had exceptionally good genetics, something his kin can take confidence and pride in as they take the baton and further Docampo’s legacy by continuing to sell his now-famous elixirs to the next generation. The continued success of Bodegas Docampo will also honor Docampo as being the last original inhabitant of the mostly abandoned village of Eira de Mouros. Always a hard worker from the time when he was a child, Docampo embodied what it meant to be an artisan and a master of his craft. I consider myself to be “in the loop.” Its the age of Aquarius now and what was once impossible is now becoming a reality. 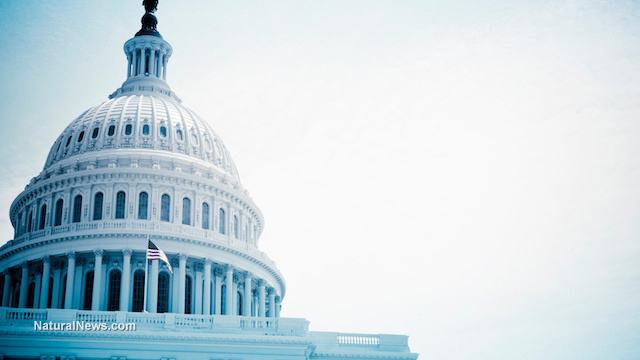 This shift is going to be a strong one, and it will alter the lives of many people. Ever since December 21st, 2012, our planet and solar system has been in a new area of space. We are now in a photon belt and it is full of energy completely new to us. This is gamma light coming from the central sun. For people who have been resonating close to that of 5D for the last 2 years, improving your lifestyles, and seeking enlightenment, you will be feel the effects the strongest. I feel like around 1/3 of the population will pierce through the veil in the next 2 months, whilst 2/3 will still feel different, but not gain enough DNA upgrades to experience everything this new energy is bringing in just yet. The entire world is going to be very different soon though. This is not a bad thing at all and I am by no means speaking to any doomsday people here. It’s like this: you are not leaving 3D! Instead, you will continue to exist in 3D, 4D and 5D in the same time-space (now here) and you will be fully aware of your experience in each dimension. Your new awareness will feel like you are merging with other realities and you will develop new abilities. We are currently experiencing a steady bell curve in gamma light frequency increase as we move into the most intense part of the photon belt so see if you can be aware of its effects on the body, mind and emotions over the next two months! 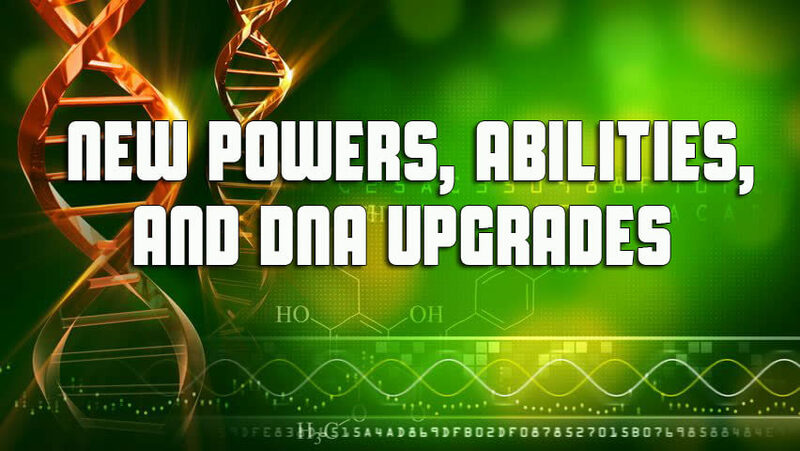 It is proven that gamma light can instantaneously evolve the DNA of any species into its higher form. You are literally evolving quickly now into the highest version of you! Below is a list of some of the powers you may already have or start to get. This is fun to think about. Animal Speaking – telepathic communication with animals. Enhanced Empathy- influencing and receiving emotional energy. Inter-dimensional Perception- seeing into other dimensions of reality. Levitation – ability to raise one’s self into the air. Dreamwalking – enter another persons dreams with your astral body. Premonitions – having visions of future events. IQ – More brain power. Precognitive Dreaming – dreaming of future events. Eternal Youth – bodies don’t appear to age anymore. Remote-viewing – visualizing events that happen anywhere. Cryokinesis – ability to control ice. Pyrokinesis – ability to control fire. Hydrokinesis – ability to control water. Electrokinesis – ability to control electricity. Chronokinesis – ability to change ones perception of time. Intangibility- ability to pass through solid objects. 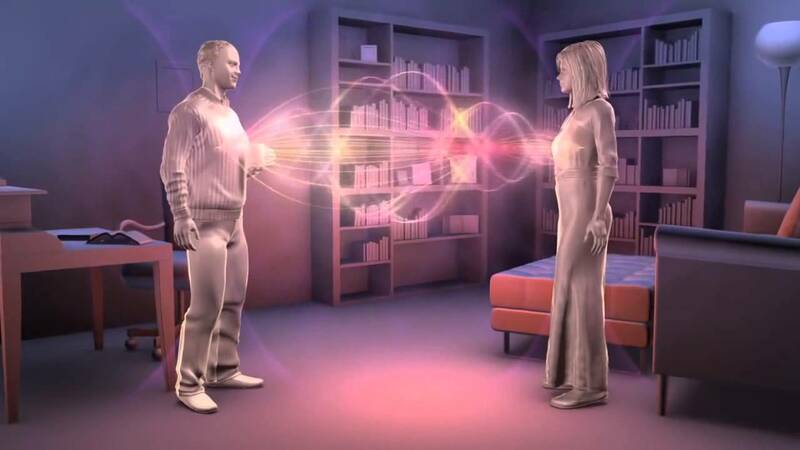 Force Field – ability to use the aura for defense and protection. Biokinesis – ability to control genes in the body to alter your look. Psychometry – to gain information by touching objects. Telekinesis – ability to move things with your mind. Bi-location – ability to be two places at once. Teleportation – instantly transport anywhere. Flying – achieved through mastery of levitation. Quick Healing- your rate of healing will increase! Plant Speaking – ability to communicate with plants telepathically. There are many other abilities I have not mentioned but these are just a few. Basically we are evolving as we receive new energy from space. We have been shifting in consciousness for a long time and now everything is finally coming to fruition! Embrace these changes in yourself and the people around you because we are capable of so much more. While the chakras themselves are energetic/etheric in nature, they each have corresponding physical organs, glands and systems in the body that can, and do, have an effect on their functioning. When the associated organ/gland/system is weak or out of balance, the relevant chakra will be under active; and when the associated organ/system is balanced and healthy, the chakra will generally be in harmony. This interconnectivity of the physical and etheric bodies goes the other way as well—if there is an energetic imbalance in a chakra, for example, as a result of emotional disturbances, then this can also cause the associated physical elements to become weak as well. As such, it is important to not only address physical imbalances with herbs and lifestyle adjustments, but also on an energetic level as well with breathwork, meditation, kriya/tantric yoga, qigong or whatever your preferred flavor of energetic medicine. 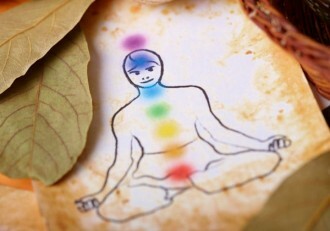 There are many different practices—both energetic and otherwise (as outlined earlier)—with the end goal of healing and balancing the chakras that are effective to varying degrees, but, like putting water into a bucket with holes in it, if the corresponding organs, glands or bodily systems are weak for whatever reason, simply charging the area with Qi or Prana will not necessarily be as effective as simultaneously working to heal any underlying imbalances in the physical body itself. Besides general lifestyle adjustments, there are few methods as powerful and effective as the proper use of herbal medicines to bring the various aspects of the body back into balance. In a general sense, you will get the most benefit by using the following herbs as an adjunct to the energetic/etheric practices outlined above. With that being said, I recommend two ways of taking these herbs for maximum benefit and to avoid imbalances in the bodies—etheric and physical. The first is slightly more sophisticated and requires you to understand what chakras or organs/glands/systems may be weak in your body. If you have this awareness and knowledge then you will generally want to take specific herbs from the list below to treat that specific imbalance. On the other hand if you are not sure what is in or out of balance then I would recommend taking a blend of a small portion of each of the herbs outlined below in order to maintain systemic balance and harmony so as not to overactivate or neglect any specific chakra or part of the body. Although not an herb in the traditional sense, Shilajit is the byproduct of thousands of different herbs because it is the solidified resin of prehistoric forests compacted under the weight of the Himalayas for eons of time. 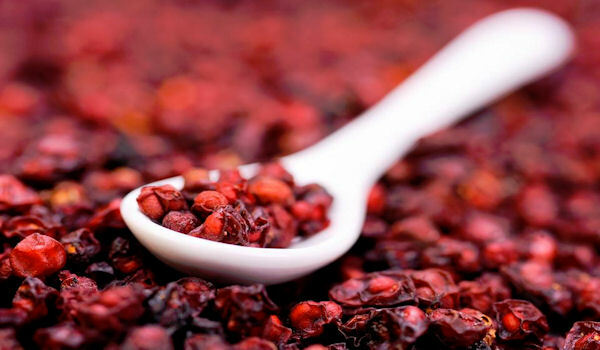 As such it is very grounding, building and rejuvenating, rich in minerals and other compounds that literally restore the body at a foundational level. In that sense, the root chakra is also foundational in the chakric system and helps us stay grounded energetically. Shilajit also works on a number of other systems, organs and glands in the body and has many other remarkable benefits that you can learn about in the in-depth article I’ve written on it here: consciouslifestylemag.com/shilajit-benefits-ancient-superfood as there is simply too much to go into for the scope of this article. In that sense, few herbs strengthen the body quite like Pine Pollen. One of nature’s most treasured herbal medicines, Pine Pollen is rich in DHEA, the body’s master hormonal precursor, which nourishes the adrenal glands directly and balances the entire endocrine/glandular system, which is foundational to our sense of personal power and self. Pine Pollen is also phenomenally rich in rare and important nutrients and nourishes the body at deep levels, supplementing weak digestion, which is remarkably common, and giving us added energetic support, no matter what phase of life we are in. There are few things which energetically strengthen the body like Pine Pollen, making it a perfect corresponding herb for the third chakra. One of the premier herbs in the ancient Indian Ayurvedic system of holistic medicine is Gotu Kola, a powerful herb for the brain and related glands and systems. 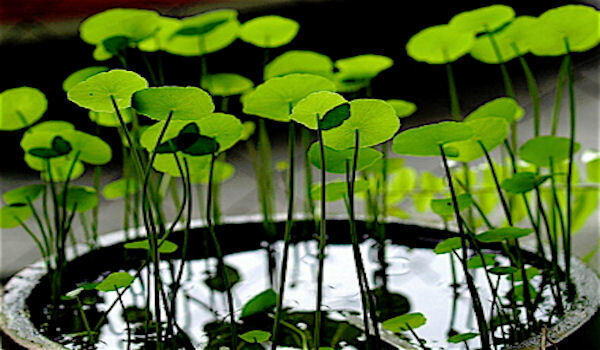 Gotu Kola enhances oxygen uptake to the brain specifically and to the body’s cells in general and has been shown to actually increase intelligence in long-term users. It has also been shown to enhance and harmonize trans-hemispheric communication in the brain, which is likely why it has been traditionally used by meditators. Brain hemisphere synchronization produces measurable changes in brainwave state into the alpha, gamma and theta spectrum, which are associated with expanded states of consciousness. Gotu Kola is also said to act directly on the pineal gland in part through the above mechanisms and due to the fact that it is a vasodilator, causing both increased blood and oxygen flow to key areas and glands within the brain and body. I’m going to make a non-traditional recommendation here. Most know sage as the premier smudging herb, but it can also be taken internally and works in much the same way—to clear the etheric body and physical body of energetic blockages and imbalances, as well as destructive influences. As the crown chakra is the gateway between the higher non-physical planes/energies and the body, it is fitting to suggest an herb that is energetically cleansing and harmonizing rather than deeply physical in its effects, although sage certainly has those properties as well. Recently discovered in some fascinating studies is sage’s ability to increase perceptual awareness, intelligence, brain function and memory; and those intuitively tuned into the deeper effects of the herb will notice it also enhances sensitivity to subtle energies, which further cements its appropriateness as a tonic for this chakra. 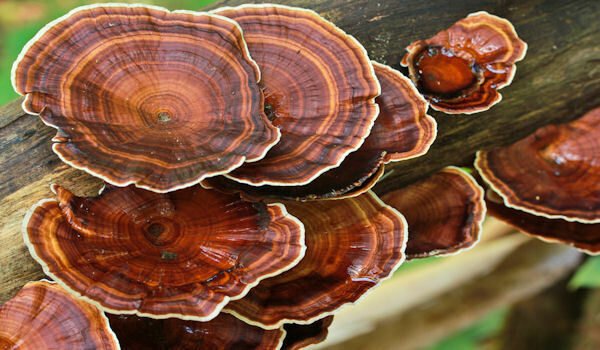 Taken in tandem with Gotu Kola, all of the physical organs, glands and systems correlated with the crown chakra are are addressed, strengthened and balanced. As always with herbs, seek organic, wildcrafted/harvested or biodynamic whenever possible and choose those with minimal, low-temperature processing to preserve active constituents and enhance potency. Start slow and work your way up in dosage to what intuitively feels right for your body as you acclimate to their effects, and be sure to take a few days’ break from the herbs now and then to let your body rest and integrate the changes. An important breakthrough may prevent people from suffering from cancer or the aggressive radiation and chemotherapy treatments used to kill cancer cells. Anthony Holland, an Associate Professor and Director of Music Technology at Skidmore College in New York, U.S., and his fellow researchers discovered that, by creating custom digital electronic signals, they can destroy cancer cells and Methicillin-resistant Staphylococcus aureus (MSRA). In their laboratory experiments, the team used Oscillating Pulsed Electric Fields (OPEF) to induce sympathetic resonant vibrations which in a short amount of time shattered targeted cells from pancreatic cancer, leukemia, ovarian cancer, and the dangerous antibiotic-resistant bacterium MSRA. 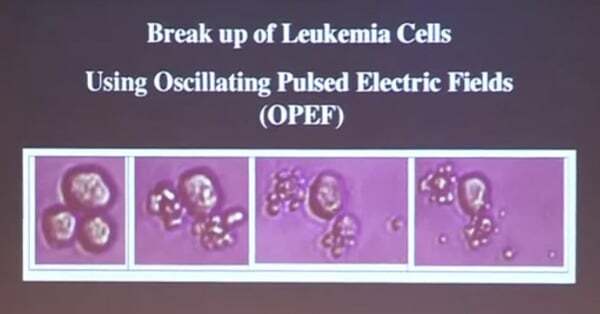 Below is an image showing the effect that the resonant frequencies had on leukemia cells. Just as various sound frequencies can shatter different types of crystal and glass, shattering microscopic organisms is possible because they have many similar properties of liquid crystals. Holland created a device that uses pulsating plasma lights to emit the right frequency electronic signals to induce sympathetic resonant vibration in targeted microorganisms. Holland’s research showed that not only can one change the vibration of a biological living microorganism with an electronic signal, but also that different frequencies of this electronic signal can be used to target different types of microorganisms. Below is a TED talk by Anthony Holland during which he reveals his discoveries. Starting midway through his talk, Holland shows stunning videos of how various cancer cells react to eleventh harmonic frequency combinations. It took the researchers over 15 months of trying hundreds of frequency combinations to find the ones with the potential to kill cancer cells. Holland’s goal is to create a treatment that can be used to shatter cancer cells and heal cancer patients painlessly and without toxic methods. Crude oil prices dropped last week to under $30 a barrel for the first time since 2003. Interestingly, that was the year SUV sales peaked in the United States. A dramatic fall in oil prices, along with smaller drops in the prices of natural gas and coal, should likewise be bad news for investments in renewable energy sources like solar and wind. Yet exactly the opposite has been happening. In late November, just as the global climate change conference began in Paris, Bill Gates announced a multi-billion-dollar initiative to help developed and developing countries more than double their research and development budget for clean energy. In interviews given around that time, Gates said he hoped to attract even more funding for clean energy initiatives from governments and philanthropists around the world. In fact, billionaires around the globe are investing heavily in solar and wind energy. Sergey Brin and Larry Page, the founders of Google, have solar panels installed at Google headquarters and are deeply involved in researching clean energy, as is headline-grabbing billionaire Richard Branson. Some, like Shi Zhengrong, have even made their billions in the clean energy sector. Suntech Power, founded by Shi Zhengrong, is the largest manufacturer of photovoltaic cells in the world.Though some venture capital investors became skittish about clean-tech investments after the “clean-tech bubble” of 2008, many other investors with longer timelines and less desire for immediate returns have begun to pour billions into solar and wind energy. Unlike the Gates and Bransons of the world, these investors are not making their investments for purely philanthropic reasons, but because they smell real financial gain. CleanTech Syndicate, a secretive collective of 11 families worth over $60 billion, has invested $1.4 billion in renewables in the last year alone with the goal of making a difference in climate change while reaping a healthy profit along the way. But the real secret to the growth of wind and solar energy is rather obvious: They’ve both gotten much, much cheaper. Solar energy especially has benefited from innovations in technology, declines in cost of materials and an expanded manufacturing base, leading some to believe that by the year 2030 solar energy capacity could increase fivefold and be up to 50 percent cheaper. This drop in cost led Dan Esty, an environmental law and policy professor at Yale, to argue that the recent drop in oil prices is actually a good thing for solar and wind energy as they will both be forced to become even more economical to compete with fossil fuels. This competition will leave them perfectly positioned when fossil fuels eventually become more expensive. The issue of cost is especially important in the case of developing nations that are rapidly expanding their energy infrastructure due to growth and industrialization. One of the most pressing concerns of the climate conference in Paris was how to decrease carbon levels without stifling the growth of impoverished and developing nations. Increasingly, the hope is that wind and solar energy can bridge this divide. Recently, India announced an alliance of 120 countries that will work together to develop and implement solar technology. India’s Prime Minister Narendra Modi hopes that heavy investment in solar energy will allow the world’s second most populous country to keep its large coal reserves untapped while still allowing its economy to grow at a steady pace. China, notorious for its smog-filled horizons, has become the world’s largest producer and consumer of solar panels in recent years and hopes to get 20 percent of its energy supply from renewables by the year 2030. Even Saudi Arabia, the definition of a petro-state, is investing heavily in solar energy, hoping to stem its own consumption of fossil fuels; though of course in the case of Saudi Arabia this is less than altruistic as they hope to sell fuel to other countries for greater profits. More optimistically, the increasing accessibility of solar and wind technology has proved particularly useful for less economically stable countries, such as Afghanistan. In a country without a strong central government, it is difficult to develop the infrastructure necessary to generate power for citizens outside of major population centers. However, solar facilities can be built and maintained locally at modest expense allowing for the democratization of electricity in areas where it was previously not viable. This is especially helpful for developing nations, which are largely in tropical and subtropical regions and therefore receive abundant sunlight year round. Solar energy is not only growing in developing countries, it’s heating up in the United States as well. In July, the White House announced an initiative to increase the use of “community solar,” a system designed to install solar panels for apartment buildings or neighborhoods instead of requiring each household to install and maintain their own systems. The initiative hopes to extend the use of solar power to those who rent or cannot afford the up-front installation costs of solar panels and is viewed by many as the most significant market for solar growth in the United States. While solar and wind energy have made great strides in recent years, they still provide only a small fraction of the total energy output worldwide. Last year more than $250 billion was invested in renewable energy, but according to many analysts, that amount would need to quadruple in order to stem the climate change problems caused by fossil fuels. On the upside, solar and wind energy have a record of far surpassing expectations and the investment and innovation in these technologies is only just beginning.